NAMETAG ALEXANDER: Work. Win. Repeat. Merch Available Now! Work. Win. Repeat. Merch Available Now! "Work. Win. Repeat." A self explanatory motto. Presented by Nametag Alexander. 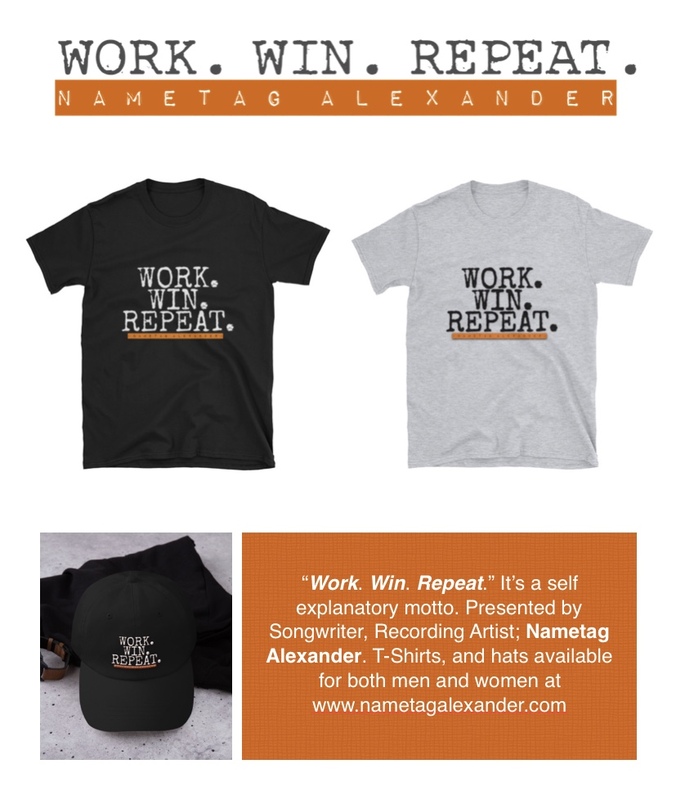 T-Shirts, and hats available for both men and women. Click HERE to order yours, or tap the "Merch" tab.